* When it is time to remove pull the tab and it removes cleanly with no surface damage. * Use on a variety of surfaces including paint wood and tile. 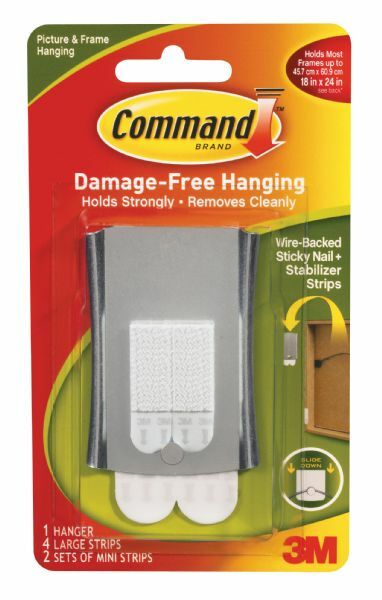 * Sticky nail wire back with stabilizer strips. * Includes 1 hanger 4 large strips 2 sets of mini strips. * Holds most frames up to 18" x 24". 12" x 10.5" x 7.5"